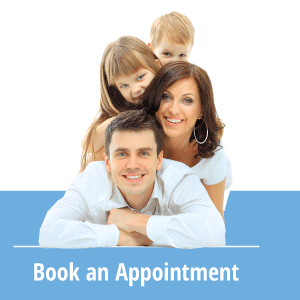 Pediatric Dentistry, Preventive Dentistry • Comments Off on Does Sherwood Dental Promote Using Fluoride To Prevent Cavities? Sherwood Dental recommends using fluoride to prevent cavities. Amounts necessary vary depending on your child’s age and risk of tooth decay. Yes. We promote and encourage using fluoride to prevent cavities. Since this is a hotly debated topic, we will share some of what the Canadian Dental Association (CDA) has to say about it. Fluoride is a mineral. It is found in soil, fresh water, salt water and in foods. It affects teeth making them more resistant to decay. Once decay has started, it can prevent or even reverse decay. It is added to drinking water to insure that all members of the community are protected from tooth decay safely, effectively and cost-effectively. In our office dental hygienists apply fluoride to our patients’ teeth in the forms of gels, foams and varnishes. It is available in some toothpastes, rinses, lozenges, chewable tablets and drops to adjust the fluoride levels in drinking water to optimal levels. (Optimal levels occur when the level of fluoride in drinking water is adjusted to achieve the right balance between using fluoride to prevent cavities and the risk of developing dental fluorosis). Scientific studies have not determined a credible link between adding fluoride to drinking water and adverse effects to anyone’s health other than dental fluorosis. Dental fluorosis causes a change in the appearance of teeth when higher than optimal amounts of fluoride are ingested in children before birth and up to 6 years of age. Small white specks will appear on children’s teeth affected by fluorosis. Does dental fluorosis happen often in Canada? According to the Canadian Health Measures Survey of 2007-2009, dental fluorosis is not an issue of concern for 84% of children. About 16% of children have unnoticeable, mild forms of fluorosis. For children who are under 3 years of age, the level of their risk of tooth decay determines their use of fluoridated toothpaste. Parents, talk with your dentist to determine whether your child is at risk of developing cavities. If your child is at risk, brush their teeth using a very small amount of fluoridated toothpaste, about the size of a grain of rice. Children 3 to 6 years of age should also use only a small amount of fluoridated toothpaste, about the size of a green pea. Parents should assist their children with brushing their teeth. Exposure to more fluoride than is needed to prevent cavities in children under 6 years of age can cause dental fluorosis. Prior to receiving a specific series of fluoride treatments, the amount of fluoride already received from other sources must be taken into consideration. Fluoride is believed to be an important aid in maintaining good oral health when a child patient’s daily intake of fluoride is monitored. Your child’s Sherwood Dental dentist can assess the risk of their development of cavities and recommend the best level of fluoride protection for them. For more information on using fluoride to prevent cavities, see CDA Position on Use of Fluorides in Caries Prevention. You can always call our office with your concerns and questions about the use of fluoride. Call 780-464-4166 today. Benefits of fluoride, Children and the use of fluoride, Does Sherwood Dental use fluoride?, Fluoridation of water, Risks associated with fluoride, What is fluorsis?